I had the pleasure of planning and collaborating on a design plan with the A Joy Wallace Design Team, during an extraordinary wedding held at The Westin Colonnade in Coral Gables last December. The gorgeous wedding of Jessie and Max, was platinum status to say the least—adorned in full bloom with the most fragrantly romantic, and lush floral pieces that only a girl could dream of. 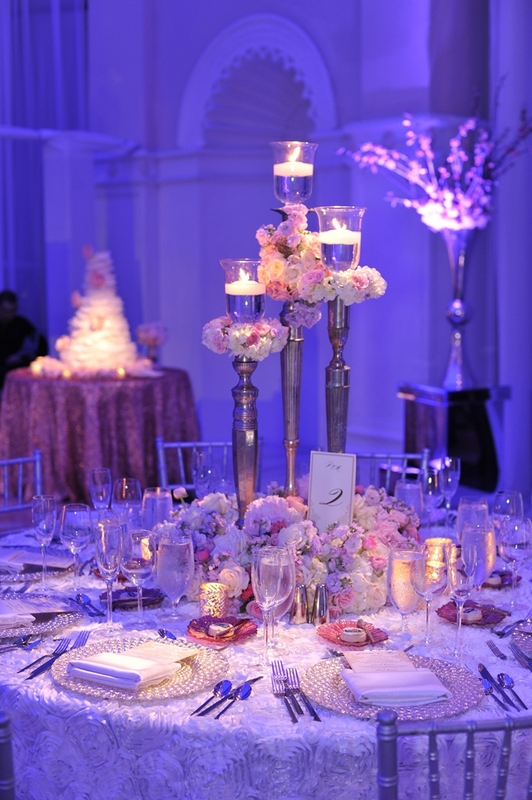 Details included exquisite sequin fabrics, floral runners, elegant platinum chargers, cherry blossom trees, and a pink and lavender glow that filled the room to set the tone for the stunning evening. A sweetly scented ruffled wedding cake with the bride’s favorite sugared pink peonies was created by non other than celebrity cake bakery, Divine Delicacies. After the newlyweds cut the cake and further enjoyed a glass of bubbly, guests partied the night away with a special performance by Miami Heat’s own celebrity music icon, DJ Irie, who was accompanied by an appearance from The Heat’s all-star mascot, Burnie! As Miami’s leading event planning firm, I had very high expectations for this event, and knew that part of my job was to find the right group of vendors that could join forces and develop the perfect setting fit for this glamorous client. Our teams of vendors did exceptional work as they were able to translate impeccably the style and tone the couple was trying to achieve. 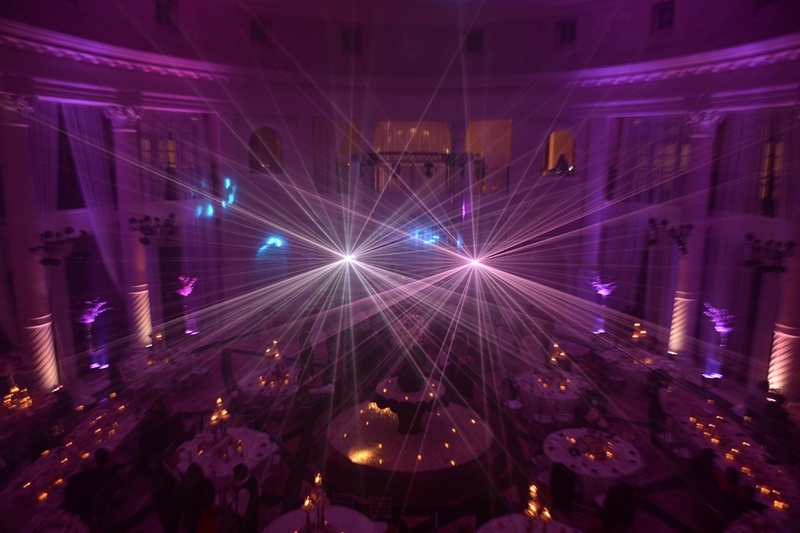 Big thank you to Uplyte, Elements and Accents, and Liquid Sky Laser for all of the fabulous rentals, lighting, and sound effects; absolutely incredible! Overjoyed as always with everyone’s talents and amazing business integrity, I look forward to continue working together on many more lifetime events. Check out some images from this magical evening by Ray Santana Photography. Enjoy! “Epic” defined this event in every aspect of the word. Every detail was covered, from minor to impactful. Simply a flawless blend of romance and technology.